CANBERRA, Australia, August 31, 2011 (ENS) – West Kimberley, an area of outstanding natural, historic and Indigenous significance in northwestern Australia, will be placed on Australia’s National Heritage List, Environment Minister Tony Burke announced today. But the listing does not ease conservationists’ fears that mining and industrial development might still spoil the area. 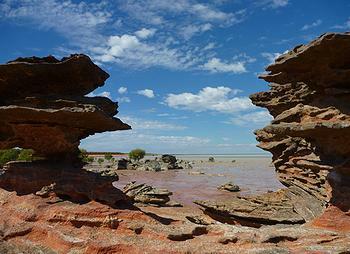 The area to be placed on the National Heritage List includes the Kimberley coast from Cape Leveque in the west to Cambridge Gulf in the east, the Kimberley plateau and country south to the Oscar and Napier Ranges, and the Fitzroy River. 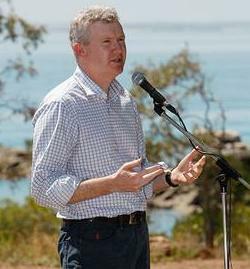 Burke said the Gillard government would recognize outstanding heritage values within more than 19 million hectares of the west Kimberley, conferring the country’s highest form of heritage recognition. “Following a long and comprehensive assessment by the Australian Heritage Council, which included a lot of feedback from communities and my own consultation with the people who live and work in the region, I have determined that the west Kimberley is a fitting addition to the National Heritage List,” said Burke. 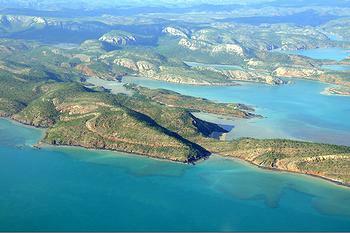 The west Kimberley is the 96th place and the largest land-based National Heritage listing. It is the first listing to proceed with the full consent of the Traditional Owners. “The Australian Heritage Council’s assessment included extensive consultation with a number of people and groups including the West Australian Government, Traditional Owners, the mining industry, pastoralists and other owners and occupiers,” said Burke. The west Kimberley’s placement on the National Heritage List means its heritage values are now protected under national environmental law, but the listing does not automatically keep development out of the listed area. 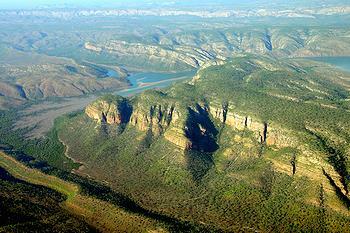 Australian Conservation Foundation CEO Don Henry said he worries that industrial development could spoil west Kimberly regardless of the National Heritage listing. “ACF remains concerned about current proposals to mine coal, bauxite, uranium and iron ore in the region and to process gas on the Kimberley coastline,” Henry said today. “Formal recognition of the importance to the nation of the West Kimberley’s natural and cultural values confirms what many in the region and elsewhere already know – that this is a very special part of Australia that is too precious to lose to industrialization,” said Henry. The Humane Society International welcomed the new protection as the organization nominated some special areas for heritage protection in 2006, helping prompt the government to assess the west Kimberley region for its heritage values. “Once listed as a National Heritage site, Australia’s environment laws will allow this minister and those that follow to give these places much stronger protection from the development pressures mounting in the Kimberley,” said Michael Kennedy, HSI campaign director. “HSI will remain vigilant to ensure the protection bestowed today is enduring,” he said.